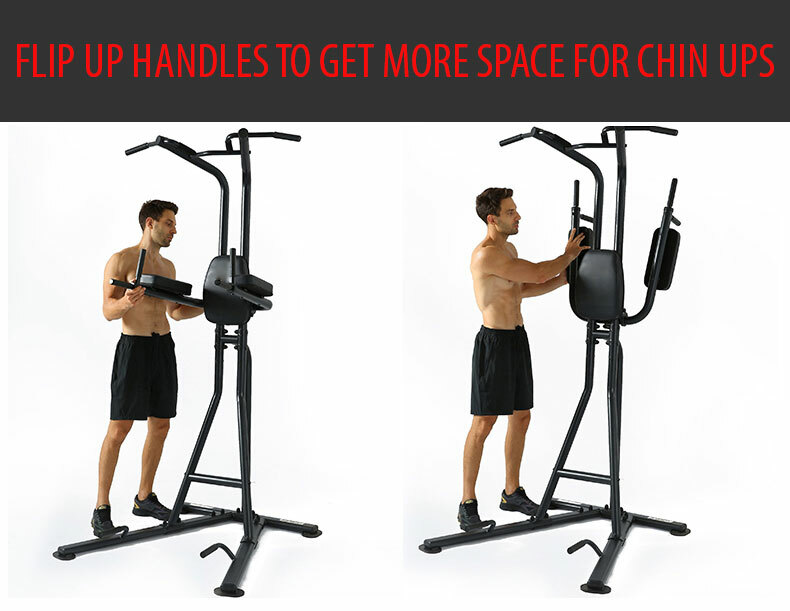 Power Tower Elite - Chin up, Dips, Knee raise (Display Set) - Home Gym Singapore in your cart. 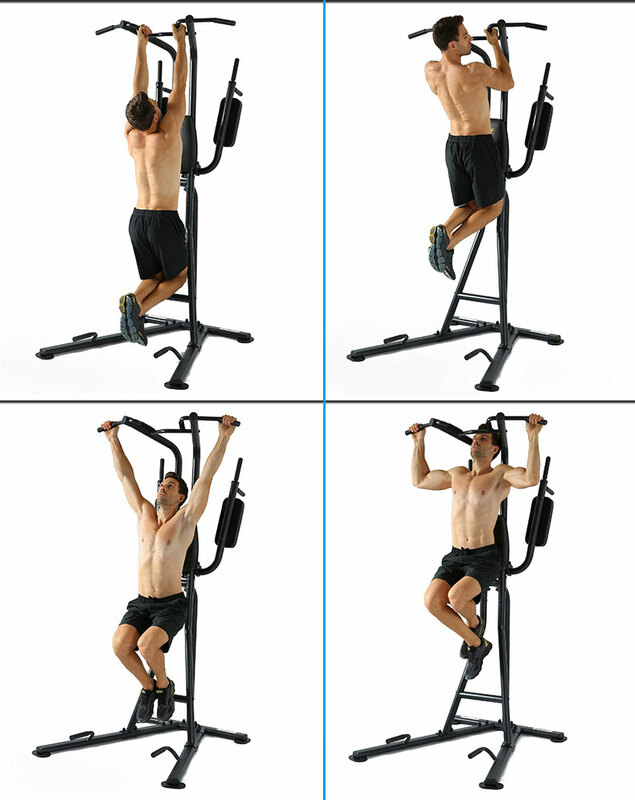 The Power Tower Elite offers you the chance to perform several multi-joint upper body exercises from the one, sturdy platform. 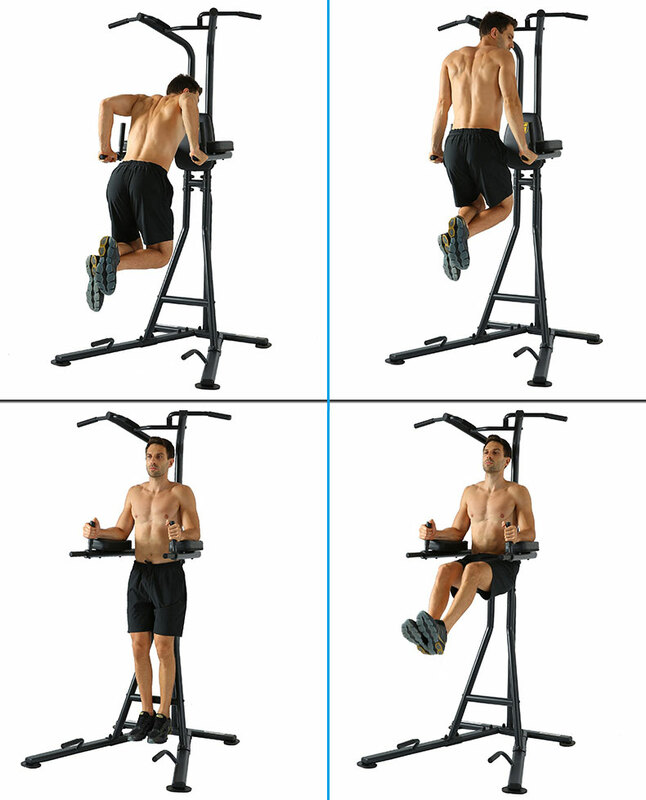 In addition, core isolating exercises can be performed on this tower to develop a strong, toned mid-section. How it works: Weight training but without the weights! Moving your bodyweight can deliver all the benefits that lifting dumbbells and bar bells can but only if you have the right equipment. 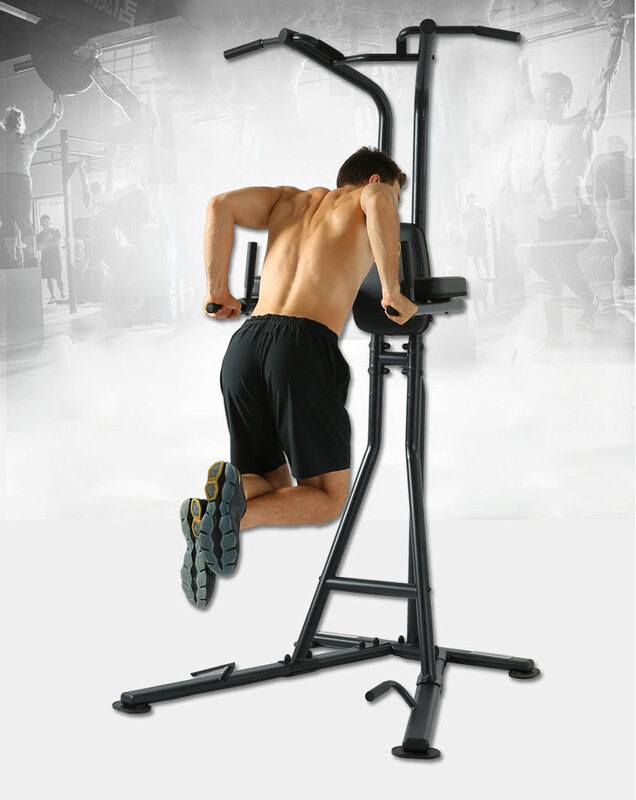 The Power Tower enables you to work against gravity on your upper, lower and torso muscles. 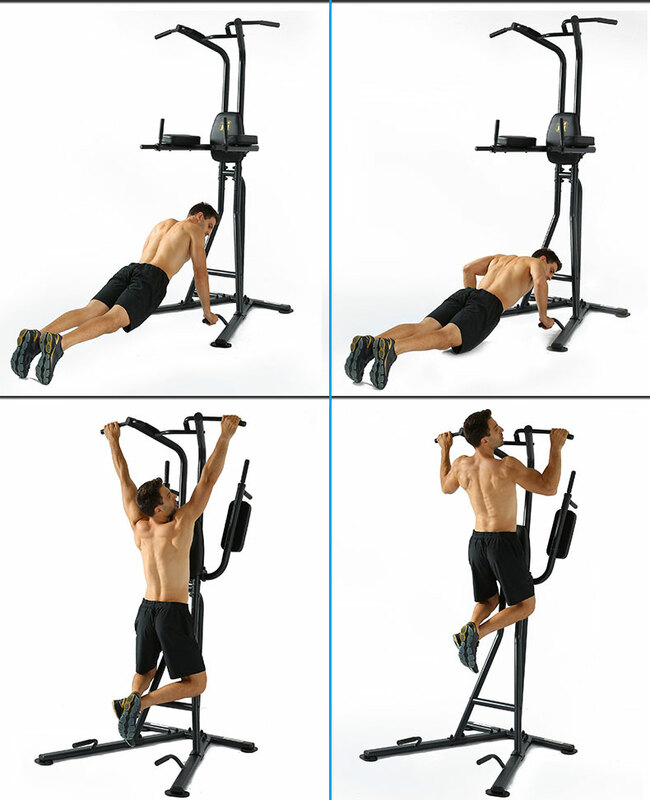 Classic exercises like Pull ups, Dips, and Vertical Knee Raises are not only challenging but also extremely functional. 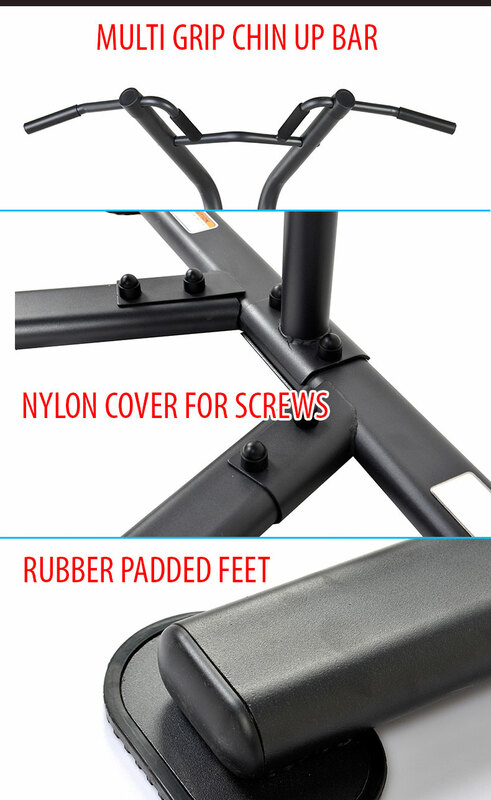 Wide and narrow chin up grips, Press up stands, Tricep Dip handles and Vertical Knee Raise (VKR) pads make this versatile, innovative and an indispensable workstation. To be your best: Sit ups, Crunches and Ab curls all have their place but one of the ultimate abdominal six pack developers is the Vertical Knee raise or even the Straight leg raise. Put your forearms on the pads and lift your ribs up away from your hips – now raise your legs up in front of you to hip height and slowly lower them...it’s tough but highly effective. Coach says: To get the best results out of a VKR or Straight Leg Lift you need to extend at the hips ever so slightly before you go in to the flexion of a leg raise – this encourages the movement to be more dependent on the abdominals rather than being over dominated by your hip flexors. Designer notes: We added a bar to help you step up; flip up handles to get more space for chin ups and ensured the back pad is trimmed at waist height so that you can extend as well as flex at the hips. Big items will be scheduled to be delivered within 7 working days. 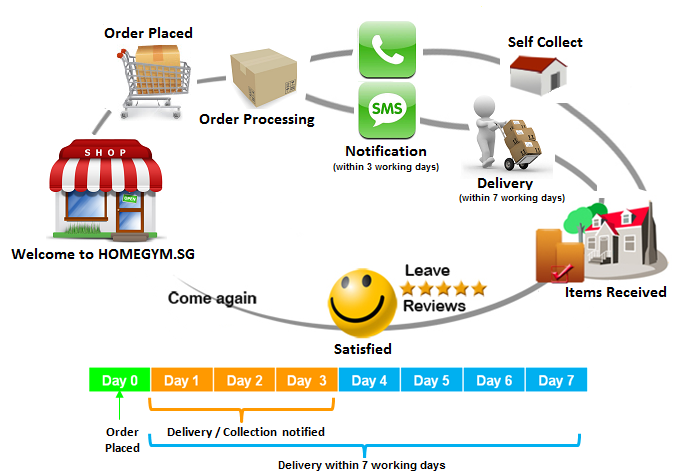 We will send SMS to confirm the delivery timing 1-2 days before delivery. Free delivery applies for Orders above $150, otherwise delivery fees will be charged accordingly. 1) For order under $150, every 1 dollar spent will earn you 1 point. 2) For order above $150, every 1 dollar spent will earn you 1 point for payment by Card / Paypal, but 2 points for Cash / Cheque / Bank payment. 3) Every new customer who sign up with us will earn 30 points immediately. 4) 80 extra points for writing a product review. *Note: Points are not availale for some products. How long does it take for the points to be credited to my account? After the order is completed, which is within 3 working days after delivery. How to check my available points? You can check them under your account page. 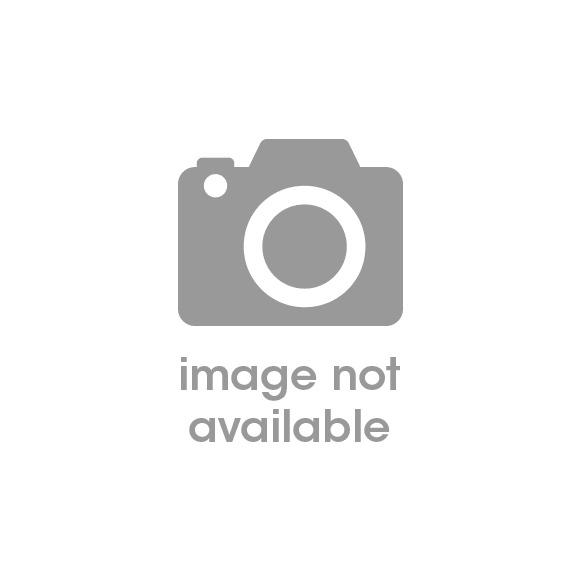 How to redeem my points? Every 50 points can be used to redeem 1 dollar discount. To redeem the points, simply add an item to your cart, and from your cart, you will be able to choose how much points you want to redeem. Yes, they will expire after 3 years. Are there any other uses for the points? I did not receive any points after my order is complete. What should I do? Points will be logged for registered users, thus most likely guest checkout is used. If an account is created after the order is placed, we can manually credit the points to the account, simply contact us via contactus@homegym.sg and we will rectify it for you. In this case, amount of points credited will be same as order total amount. Which products do not earn point / Why are my points void? 1) Combo / Bundle products or orders which are pre-discounted. 3) Order placed without an account with us. 4) If extra freebies are given.